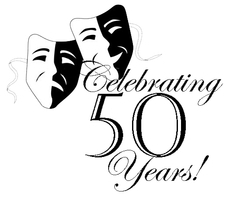 The Smithfield Little Theatre Performing Arts & Education Scholarship Fund was created in honor of our 50th year Anniversary. The purpose of the scholarship is to provide financial support to a deserving student who has shown interest in the performing arts and is pursuing higher education at a two or four year accredited college or university. SLT will be awarding a one time $1,000.00 (one thousand dollars) scholarship each year to a high school graduating senior in the Western Tidewater area and Surry, which includes: Isle of Wight, Suffolk, Franklin and Southampton County. In the event an eligible H.S. senior isn’t chosen, a current undergraduate student, that meets all the criteria, will be considered. 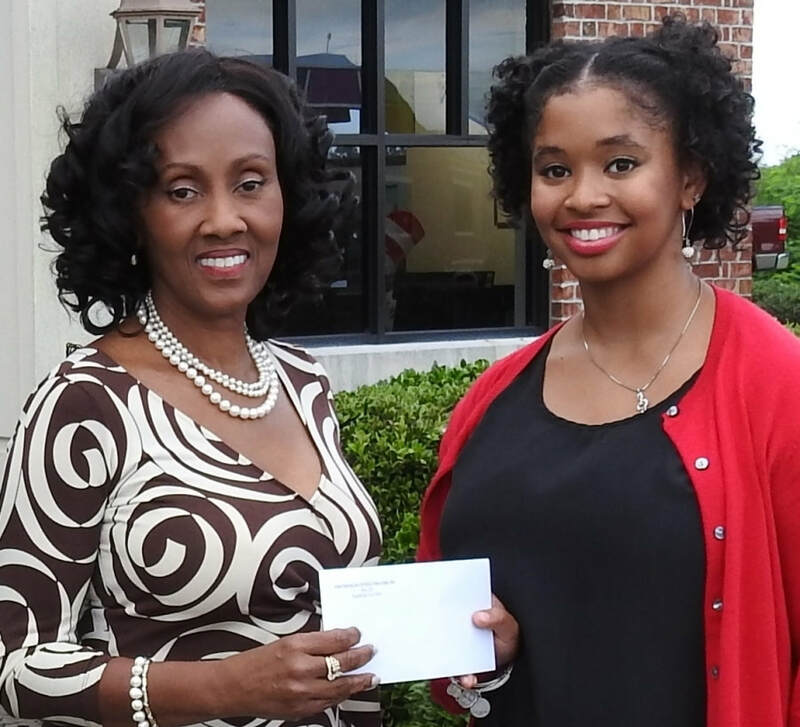 The scholarship recipient will be evaluated by a selection board appointed by the scholarship chairperson; independent from the Smithfield Little Theatre Board of Directors. 1. Must have been accepted or will be attending an accredited two or four year college or university as a full-time student. 2. Must use the scholarship for the academic year it was awarded; starting with the Fall semester of said year. 3. Must possess “above average” scholastic, academic and extracurricular achievements. 5. Should also possess leadership ability and be actively involved in school and community activities. 7. Applicants may only apply once. For more information please see the general criteria below. To apply, please download the application and follow the instructions presented inside. For those interested in donating please download the Scholarship Donation Form and follow the instructions. would like to thank the generous contributors to our scholarship fund. 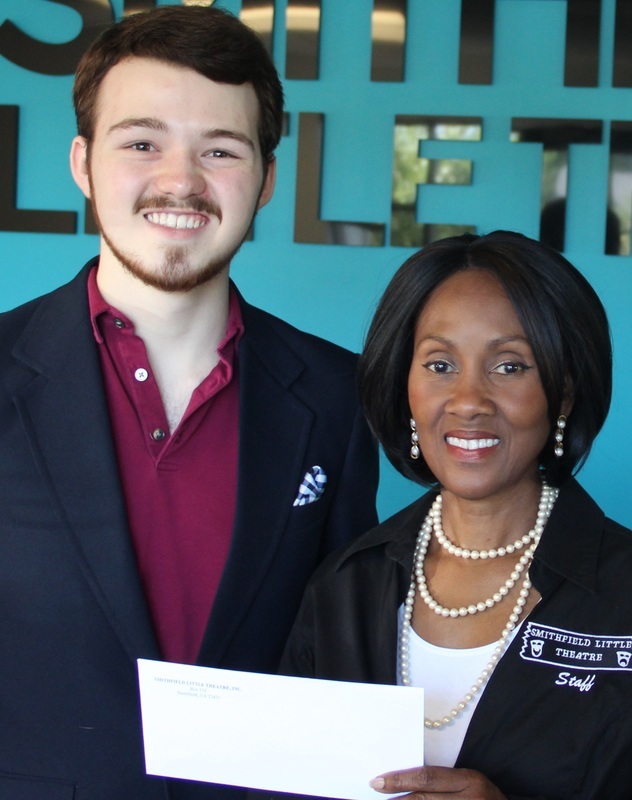 Smithfield Little Theatre officially announces, TWO (2) winners of the annual SLT Performing Arts and Education Scholarship; in its seventh year. They plan to pursue majors in Business and Meteorology, respectively. Their parents are and Mr. & Mrs. Michael & Kristin Wilda of Smithfield and Mr. and Mrs. Robb & Lynn Briggs of Smithfield, respectively. **The Selection Board consisted of Hugh Copeland, Executive Director of Hurrah Players; Susan Babiy-Lawrence, Director of Development, Suffolk Cultural Arts Center and Elaine Abicht, Smithfield Packing Executive, co-owner of The Christmas Store of Smithfield and co-founder of the non-profit Smithfield Music. They independently deliberated to process the various applicants; the individual results were tabulated and final candidates were confirmed. Smithfield Little Theatre officially announces, for the second time, THREE (3) winners of the annual SLT Performing Arts and Education Scholarship; in its sixth year. They plan to pursue majors in Instrumental Music Education; Pre Med/Biochemistry/ Molecular Biology; and Health Sciences/Pre-Physicians, respectively. Their parents are Mr. and Mrs. Eric & Gloria Sharpe of Suffolk; Mr. & Mrs. James & Tracy Stalls of Carrollton; and Mr. & Mrs. Howard & Meredith Marchant of Smithfield, respectively. Smithfield Little Theatre officially announces the winner of the fifth annual SLT Performing Arts and Education Scholarship. 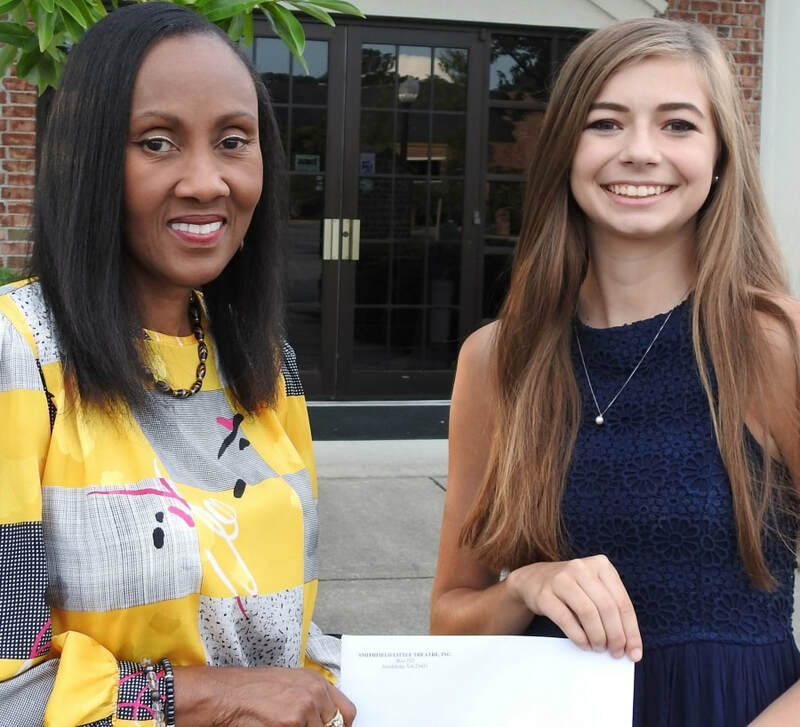 Dustyn W. Bain, a senior at Windsor High School, was chosen from among several fine, well-qualified, talented students throughout Isle of Wight, Suffolk, Surry, Franklin and Southampton County. 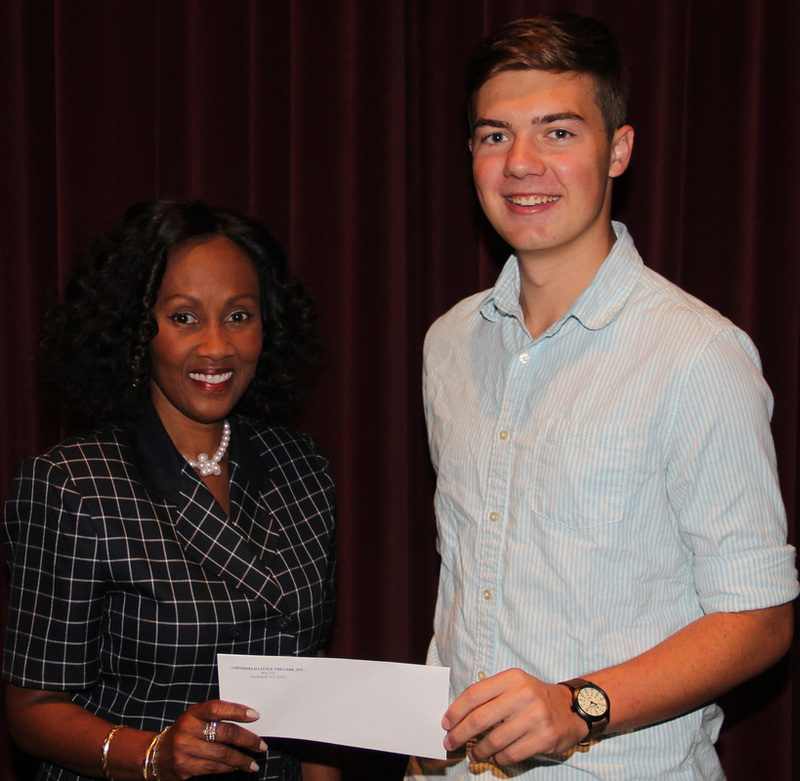 He will be awarded a one-time $1,000.00 (one thousand dollars) scholarship. **Dustyn will be attending James Madison University in Harrisonburg, Virginia. He has plans to pursue a Major in Theatre Education and Athletic Training and will use this scholarship to achieve that goal. James Madison University recently awarded Dustyn a theatre scholarship as well. Dustyn has been more of a scholar throughout school, but once bitten by the 'thespian bug' he discovered a whole new 'inner' person. "One can't be affected by something as much as I have been affected by theatre and not wish to pursue it......it has changed my life." In the future, Dustyn plans to teach theatre because he hopes to present other young people with the same world of self expression his teacher afforded him through theatre; to quote Dustyn from his essay "a world of creativity and self expression; a whole new world of possibilities." He is the son of Tommie Bain and Michele Marsee of Windsor. ​**The Selection Board consisted of Hugh Copeland, Executive Director of Hurrah Players; Susan Babiy, Director of Development, Suffolk Cultural Arts Center and Elaine Abicht, Smithfield Packing Executive, co-owner of The Christmas Store of Smithfield and co-founder of the non-profit Smithfield Music. They independently deliberated to process the various applicants; the individual results were tabulated and a final candidate was confirmed. 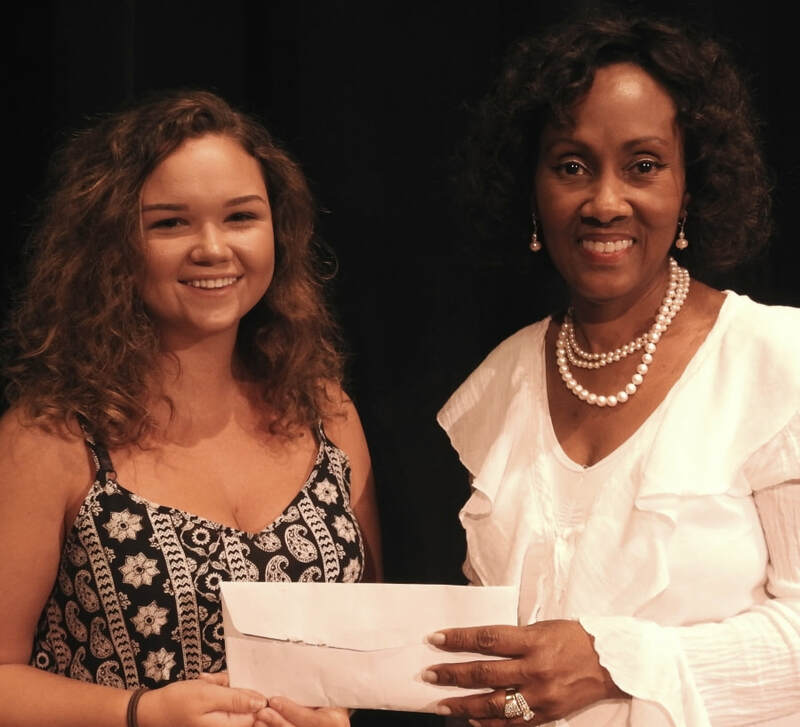 Smithfield Little Theatre officially announces, for the first time, THREE (3) winners of the fourth annual SLT Performing Arts and Education Scholarship. W. Bradley Fielding of Smithfield High School, attending Northwestern University, Hannah Dewing of Nansemond-Suffolk Academy, attending Washington and Lee University and Lindsey Ball (not pictured) of Windsor High School, attending Liberty University were chosen from among many fine, well-qualified, talented students throughout Isle of Wight, Suffolk, Surry, Franklin and Southampton County. 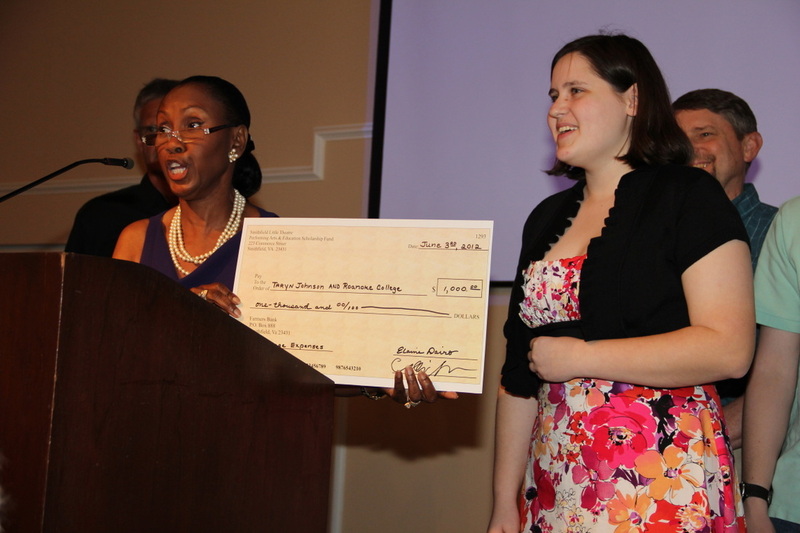 They will EACH be awarded a one-time $1,000.00 (one thousand dollars) scholarship. ** They plan to pursue majors in Music, Theatre & Broadcast Journalism, and American Sign Language & Interpreting, respectively. Their parents are Mr. and Mrs. Stuart & Patricia Fielding of Smithfield, Mr. & Mrs. Andy & Mary Dewing of Suffolk, and Mr. & Mrs. James & Jamie Ball of Windsor, respectively. **The Selection Board consisted of Hugh Copeland, Executive Director of Hurrah Players; Susan Babiy, Director of Development, Suffolk Cultural Arts Center and Elaine Abicht, Smithfield Packing Executive, co-owner of The Christmas Store of Smithfield and co-founder of the non-profit Smithfield Music. They independently deliberated to process the various applicants; the individual results were tabulated and a final candidate was confirmed. Smithfield Little Theatre officially announces the winner of the third annual SLT Performing Arts and Education Scholarship. Lauren will be attending Longwood University in Farmville, Virginia. 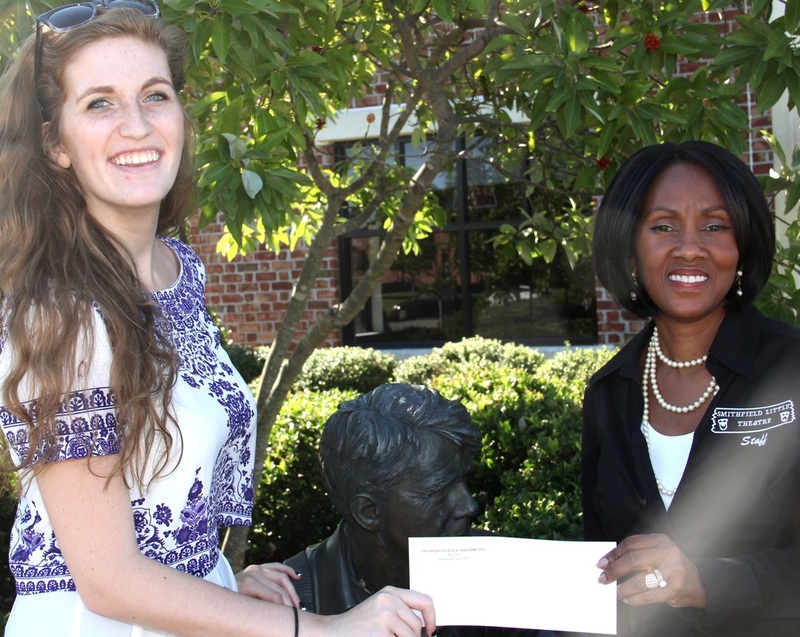 Lauren has plans to pursue a Major in Music Education and will use this scholarship to achieve that goal. Longwood is also considering Lauren for a music scholarship at their university. Lauren has been in several Smithfield Little Theater Productions with the most recent being “Hairspray”. She discovered her acting talent during a summer youth camp hosted by ISPY Productions, held at Smithfield Little Theatre. In the near future, Lauren plans to teach music to the musically inclined and inspire others to discover their own musical talents. She wants others to strive to be the best they can be, just as she has done. To quote Lauren from her applicant essay, "I soar through the boundaries and shoot for the stars!" She is the daughter of Mr. and Mrs. Michael and Lynn Peters of Smithfield. **The Selection Board consisted of Hugh Copeland, Executive Director of Hurrah Players; Jackie Cherry, Executive Director/CEO of Suffolk Cultural Arts Center and Elaine Abicht, Smithfield Packing Executive, co-owner of The Christmas Store of Smithfield and co-founder of the non-profit Smithfield Music. They independently deliberated to process the various applicants; the individual results were tabulated and a final candidate was confirmed. 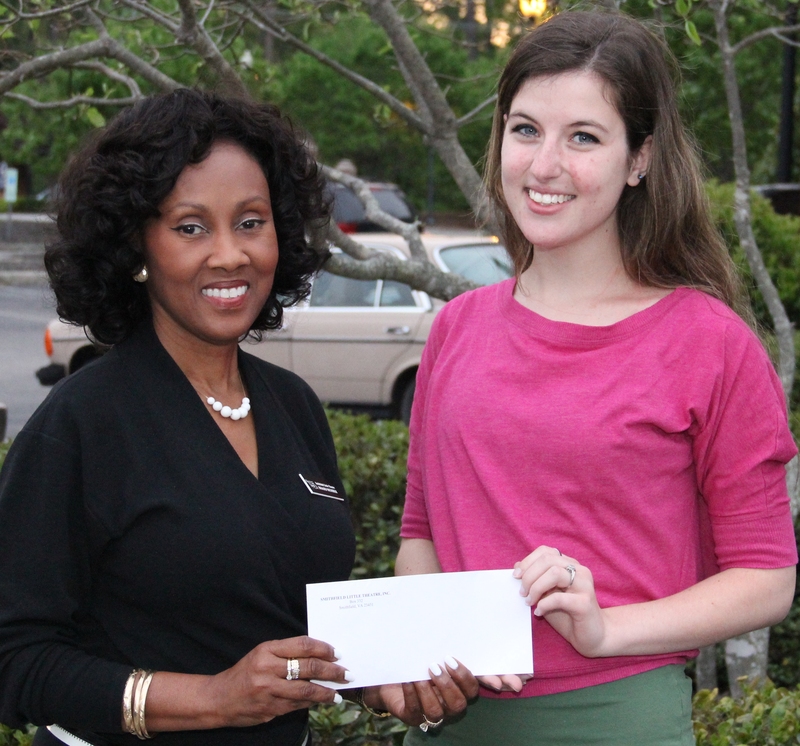 Smithfield Little Theatre officially announces the 2013 winner of the second annual SLT Performing Arts and Education Scholarship. Skylar is a former home-schooled student who is currently working to finish his Associates Degree in Science at Thomas Nelson Community College. He is slated to attend William & Mary in the spring of 2014. He will be majoring in Biology with a minor in Chemistry. He has a current GPA of 3.87. Skylar aspires to attend graduate school, receive a doctorate and become a practicing scientist. He is the son of Mr. and Mrs. Kelvin and Kimberly Norman of Smithfield. **The Selection Board consisted of Hugh Copeland, Executive Director of Hurrah Players; Susan Babiy, Director of Development of Suffolk Cultural Arts Center and Elaine Abicht, Smithfield Packing Executive, co-owner of The Christmas Store of Smithfield and co-founder of the non-profit Smithfield Music. They independently deliberated to process the various applicants; the individual results were tabulated and a final candidate was confirmed. 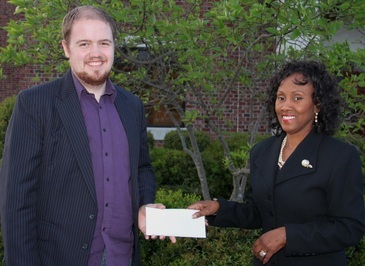 Smithfield Little Theatre officially announced the winner of the first SLT Performing Arts and Education Scholarship at our 50th Anniversary Gala Sunday, June 3rd, 2012 at the Smithfield Center. Taryn is attending Roanoke College in the Honors Program. She is currently majoring in Bio-Chemistry. She is pursuing her love of flute through participation in the Pep Band. Taryn received academic scholarships from Roanoke College, a band scholarship from Smithfield High School, and the Otter-Caribou Heritage Scholarship from the AAAA Scholarship Foundation. She is the daughter of William and Valerie Johnson of Smithfield, twin sister to her brother Nathaniel (VA Tech) and younger sister to her brother Casey (William & Mary). ** The Selection Board consisted of Hugh Copeland, Executive Director of Hurrah Players; Jackie Cherry, Executive Director/CEO of Suffolk Cultural Arts Center and Elaine Abicht, Smithfield Packing Executive, co-owner of The Christmas Store of Smithfield and co-founder of the non-profit Smithfield Music. They independently deliberated to process the various applicants; the individual results were tabulated and a final candidate was confirmed.